MQA arrives on Astell & Kern music players, new Audiolab DAC and more | What Hi-Fi? Support for Master Quality Authenticated (MQA) – an audio technology that in recent years has made hi-res audio streaming of networked music files and Tidal Masters a reality – appears to be steaming along at a rate of knots. Every technology show seems to be a stage on which MQA can announce new brand partnerships and/or product integrations. The latest, the Rocky Mountain Audio Fest, saw new support for the technology - including from the just-announced trio of new NAD products. 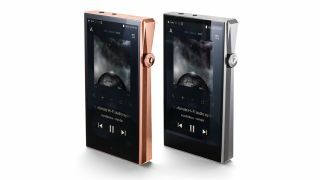 The Astell & Kern’s A&ultima SP1000 will be MQA-certified in the next week or so, with more players in the latest A&K range due to receive the update 'soon'. It is also arriving on Dali’s BluOS-based Callisto wireless speaker system (which we currently have in our test room), while Audiolab’s new 8300CDQ DAC, out later this month, will land MQA-ready. Krell also plans to integrate MQA into its K-300i amplifier later this year. A more extensive list of products with MQA support can be found here.